Beach House and crew would like to share a couple of short videos taken as we cruised some of the rivers in the Big Bend section of the Florida Gulf coast. 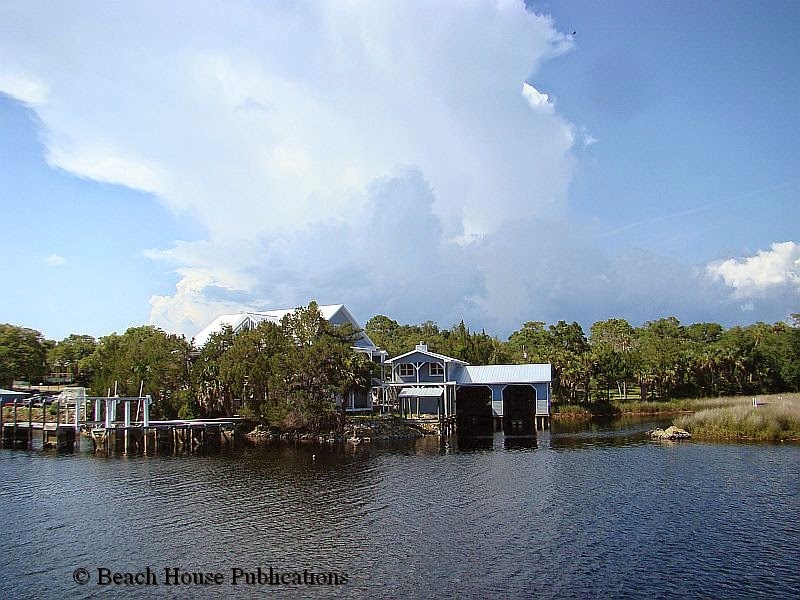 This one is from the Gulf of Mexico, up the Crystal River to Kings Bay. The Withlacooche River from the GOM approach Channel to Yankeetown. Claiborne Sellars Young [1951-2014] passed away on Saturday evening, June 14, 2014 at UNC Hospital in Chapel Hill following a serious motorcycle accident. He passed into the arms of the Lord at 7:00 p.m. surrounded by family and friends. Born and raised in Burlington, Claiborne lived there all of his life. He was a well loved, well respected man in all aspects of his life. 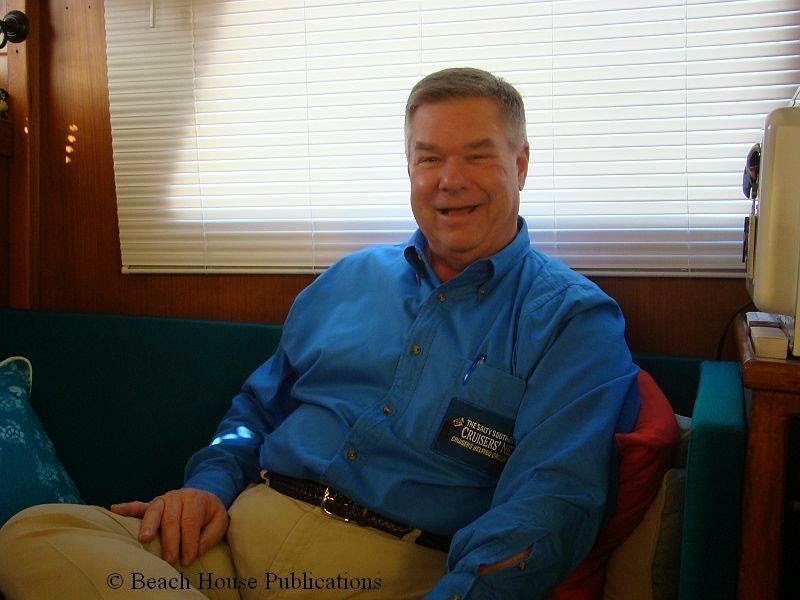 He was a devoted husband, well-known boating author, speaker, and web publisher. He was also a generous, kind and loyal fellow to the many people who called him Friend. Claiborne will be mourned and missed by family, friends, associates, and fellow cruisers. Claiborne was a graduate of Walter M. Williams High School in Burlington and NC State University in Raleigh. 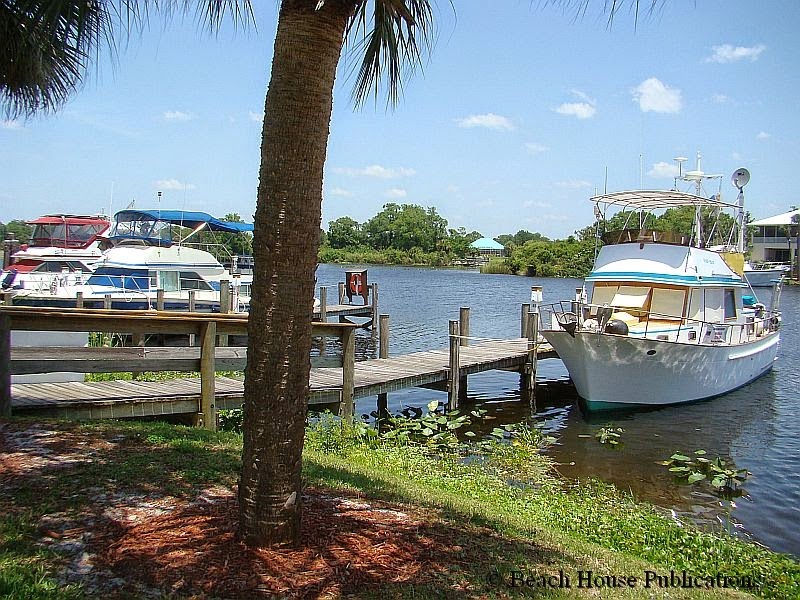 Following the closing of the Sellars family business in the early 80s, he turned to his next loves – water and boating – eventually authoring a series of books for the cruising community from North Carolina to Florida. 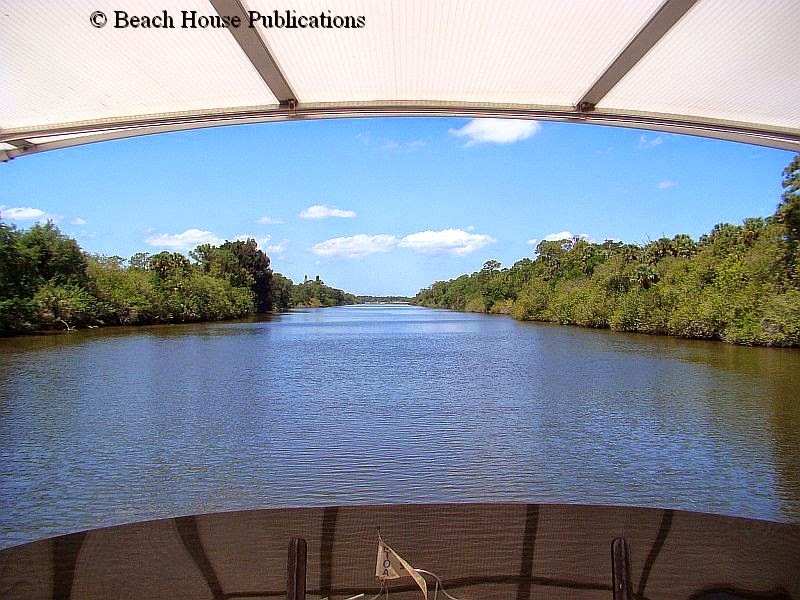 His first book, the “Cruising Guide to North Carolina” was published in 1983. He also worked with UNC-TV [PBS] to produce a series of travel videos on the waters and small towns of North Carolina’s coast. More recently, Claiborne went on share his love and knowledge of all things water related and published a successful website dedicated to the boating community and boating legislation. Claiborne was loved by many friends within that community, and always had a place to stay and chat while traveling on his speaking engagements. Those who knew him, found that Claiborne was never at a loss for words! At home, Claiborne was a loving and devoted husband for 40 years, a motorcycle enthusiast, and animal lover. During the years of their marriage, he and Karen were ardent supporters of the Alamance County Humane Society and the American Humane Society, and surrounded themselves with many four-legged friends. Claiborne was also a self-taught chef who was often found in the kitchen producing the most aromatic and tasty dishes. When Claiborne put on a spread, everyone was happy, full, and sated! Claiborne was preceded in death by his wife Karen Williams Young who passed away October 2013, and his parents Claibourne Clark Young and Dorothy Sellars Young Brawley. He is survived by family from his Sellars and Young relations, as well as his Williams in-laws. A service of remembrance will be held at Rich and Thompson Chapel in Burlington on Wednesday, June 18, at 11:00 a.m. with Dr. Genie Martin officiating. Visitation will be Tuesday evening June 17 from 5:00 – 7:00 p.m. at Rich & Thompson in Burlington and other times at the Young’s home [814 Colonial Drive, Burlington]. In lieu of flowers, the family asks that memorials be made to Hospice of Alamance/Caswell, 914 Chapel Hill Road, Burlington, NC 27215. We recently visited the St. Lucie Park and had written about what a pleasant and unexpected gem it was. Imagine, then, our surprise at what we found at the WP Franklin Lock and Dam Park. It is the westernmost lock in the Okeechobee Waterway out of the 5 locks in the OWW. Initially we had thought we might go ahead through the lock and continue on to LaBelle. However, as we approached the lock, the wind began to gust and we decided it was time to call it a day. I had glanced over and realized that the docks were on the east side of the lock and not the west as I had originally thought. Also, they are tucked up in a protected basin and not right next to the river as the docks are at St. Lucie. We spun the boat around and headed for the docks.